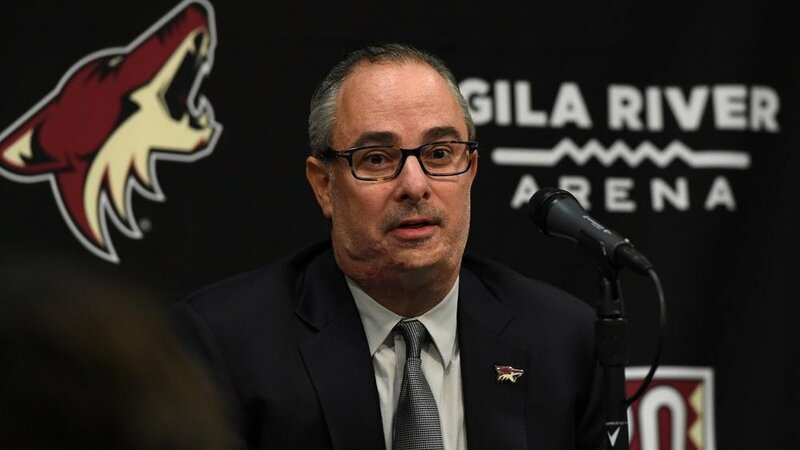 Arizona Coyotes owner Andrew Barroway remains in ongoing negotiations to sell a majority stake of the franchise and progress is slowly being made with one group, several league sources have told TFP. Barroway has been in talks with multiple groups interested in purchasing the Coyotes, and while most with knowledge of the situation have categorized the process as a roller coaster ride, it appears they are gaining ground and heading down the right path. TFP Editor-in-Chief David Pagnotta reported on Sunday “there doesn’t seem to be much significant traction” in terms of a sale, though did indicate multiple groups had been trying to purchase the club. Pagnotta first reported on Nov. 6, 2018 that an ownership change was coming. Some internal noise around the NHL on Monday suggested a deal could soon be on the horizon with that one group, though one league executive reiterated to TFP nothing is imminent. This league source did, however, confirm a deal will “come to fruition at some point before the start of next season,” if not sooner. In every discussion Barroway has had about selling the franchise, he’s made it clear he wants to keep a piece of the team – the percentage won’t be known until terms of the sale are agreed upon and approved by the NHL. In the short-term, there are no plans to build a new arena, but if the Coyotes are to stay in Arizona long-term, a new building is a must and the interested parties in the team are fully aware. There is some chatter that negotiations have re-opened with ASU about an arena collaboration. In February 2017, Arizona State University pulled out of development plans that would have included new homes for the Coyotes and Sun Devil Athletics. TFP Editor-in-Chief David Pagnotta contributed to this report.